For many German winemakers, now is the time to finally bottle their wines. Only, the country is facing a serious glass bottle shortage, thanks to A) Germany's best wine harvest in a decade, and B) some unforeseen production constraints. While vintners would normally import bottles from other European countries, the entire continent is experiencing an uptick in wine production (harvest volumes surged 20 percent last year, according tothis link opens in a new tab Bloomberg)—with 14 percent more grapes collected in Italy, and 17 percent more in France. 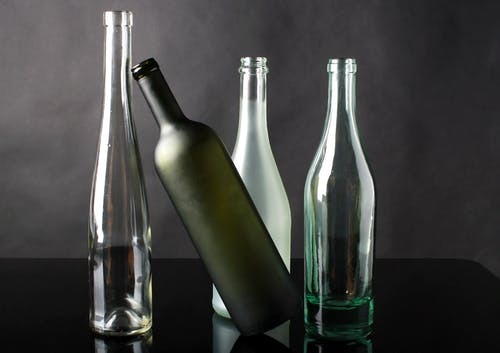 There's also been a lot of consolidation in the glass bottle making industry lately, meaning only a handful of big international glassmakers currently dominate the market. And those glassmakers tend to prioritize soft drink makers' orders, which are typically larger and more uniform (winemakers often request a variety of bottle shapes and colors), and therefore more profitable and easier to fill. "The winemaker wants a bottle in a certain color, with a certain weight with a cork or screw, whatever," Ralf Striegnitz from a big German bottle dealer, Reis Flaschengroßhändler, toldthis link opens in a new tab Deutsche Welle. "And if now this certain form is no longer offered by glassmaker A, then I can not necessarily assume that this form is offered by glassmaker B." In that same article, a representative from the Farmers and Winegrowers' Association in Rhineland-Palatinate noted that, "especially the green one-liter bottles are in short supply as well as bottles for white wine and rose." Complicating things further is the fact that—at the same time wine bottle demands are higher than ever—customers are becoming more eco-conscious, and turning away from plastic packaging in favor of glass. Coca-Cola Germany, for example, recently started a marketing campaign for traditional Coke bottles. "The main problem is that one big soft drink producer shifts from PET [polyethylene terephthalate] bottles back to glass bottles and therefore it needs huge amounts of glass bottles," Ernst Büscher from the German Wine Institute told DW. "So the glass producers do not have reserve capacities for making wine bottles."